In this talk we will show our last achievements and future perspectives of distinct class of plasmonic devices devoted to biological and medical applications. 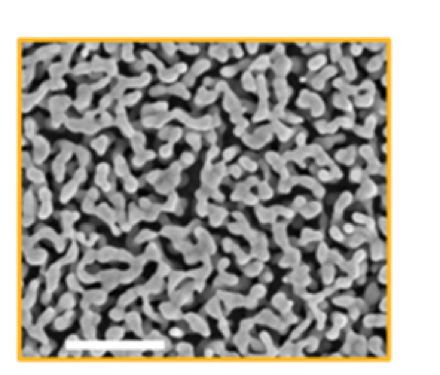 Among them, we will introduce the concept of meta-electrodes, namely a nanostructured surface that can work as electrode, a broad band plasmonic antenna, and optimal cellular interface (see Figure 1). We show that meta-electrodes combined with commercial CMOS technology enable high quality intracellular electrical signals on the large network scale of human neuron and cardiomyocytes . The developed platform may enable significant advances in the investigation of the neuronal code, development of artificial retinas and low-cost in-vitro platforms for pharmacological screening of drugs [1-4]. Also, we will present an artificial hyperbolic meta-particle that enables a tailoring of both ohmic and radiative channel in the visible and near-infrared spectral ranges. We show that the radiative channel can be completely decoupled from the ohmic one thus enabling to create a system that is almost purely radiative or absorptive. Many interesting applications can be foreseen including thermal emission manipulation, photoacoustic imaging, controlled drug delivery and hyperthermia. Finally we will give a short overview on fractal nano-porous gold as emerging class of plasmonic metamaterial. We will show some interesting perspectives for controlling plasmon-phonon coupling and for achieving next generation of SPR sensors with outstanding sensitivity. Dipalo et al, Plasmonic Meta-Electrodes allow intracellular recordings at network level on high density CMOS-multi-electrode arrays. Nature Nanotechnology (2018) 13, 965-971. Dipalo et al, Intracellular and extracellular recording of spontaneous action potentials in mammalian neurons and cardiac cells with 3D plasmonic nanoelectrodes. Nano Letters 17 (6), 3932-3939.